Next, India will take on Canada on December 8 in the last group-stage match of the Hockey World Cup. India men's hockey team captain Manpreet Singh was all praise for his team following a fighting 2-2 draw against Belgium in a Pool C clash at the Hockey World Cup 2018 in Bhubaneswar on Sunday. But that didn't stop Manpreet Singh from pointing out India's weak links. He said his team gave too many open chances to the opponents in the first half of the game. The hosts were trailing Belgium 1-0 at half-time. 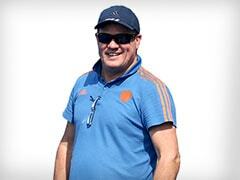 "We played impressive hockey today but gave too many open chances to the opponents in the first half. We were not able to control our game. However, we defended well in the second half and blocked all their attempts to score," Manpreet said after the match. Belgian player Alexander Hendrickx scored the first goal of the match in the eighth minute. 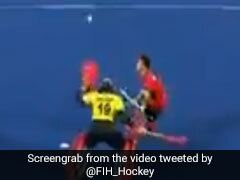 The spectators witnessed no goals from either side in the second quarter and Belgium went into half-time with a 1-0 lead. Harmanpreet Singh scored an equaliser in the 39th minute and Simranjeet Singh found the back of the net in the 47th minute to put India on top. However, the celebration was short-lived for India as Simon Gougnard struck an equaliser for the visiting team in the 56th minute. Despite the draw, India are currently on the top in the Pool C points table with four points in two matches. Up next, they will take on Canada in the last group stage match of the mega-event. Manpreet has set his sights on the clash against Canada, and said India will look to convert every opportunity in the crucial match. "Now, the focus in on Canada. We need to win that match by a good margin to top the pool table. We will look to capitalise on our basic skillset and convert every opportunity into a goal," he said. 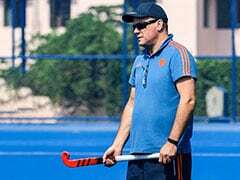 Commenting on India's position in the tournament, India head coach Harendra Singh said: "I think it (competition) is wide open. With goal difference we are plus five and they are plus two, but it all comes down to that last game." "We can forget about the two previous games, the next match is the one that will decide if we are in the quarter-final," he added.